Is this something I should be concerned about? It says that it's a severe threat. That's annoying. It seems Windows is flipping out over the inclusion of Python in the binary. I will try on my Windows machine to see if I can replicate this. 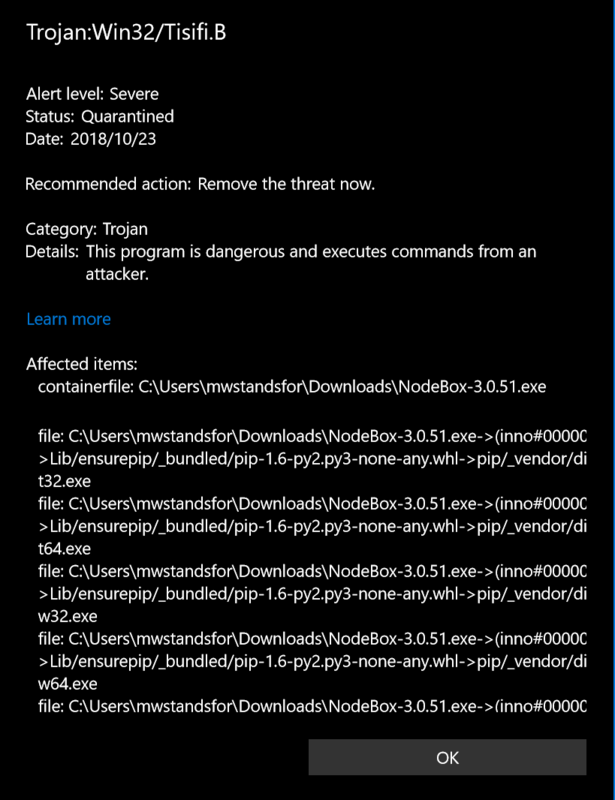 I just did a scan on Windows but could not find any viruses or spyware in the binary or downloaded .exe. Could you try the version that comes directly from GitHub? Thanks for the response. Don't have internet data at the moment but will check the GitHub link when I do.